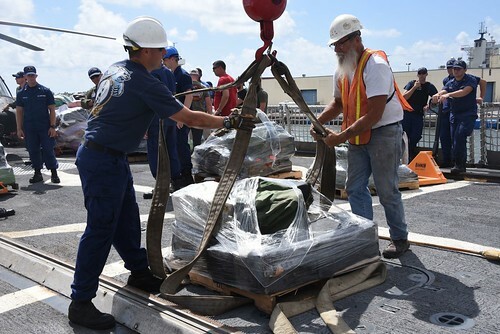 MIAMI – The crew of the Coast Guard Cutter Sitkinak repatriated 70 undocumented Cuban migrants from four separate interdiction’s to Bahia de Cubanas, Cuba, Saturday. 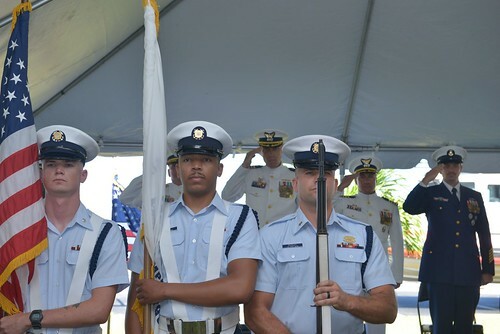 Search and rescue coordinators at Coast Guard Sector Miami received a distress call on VHF Channel 16 Tuesday at 8:30 a.m. from a mariner stating he was out fishing and had helped a migrant vessel that was taking on water 19 miles offshore. The mariner reported approximately 34 people on his vessel and didn’t know his location. A Coast Guard helicopter HH-65 crew and Miami-Dade Fire Rescue (MDFR) crew also heard the call and headed offshore. The helicopter was first to arrive followed by MDFR. MDFR crews reported to the Coast Guard that 28 adults and five children were on board with moderate to severe dehydration. MDFR crews provided immediate medical care to a 28 year-old woman and her daughter for dehydration. 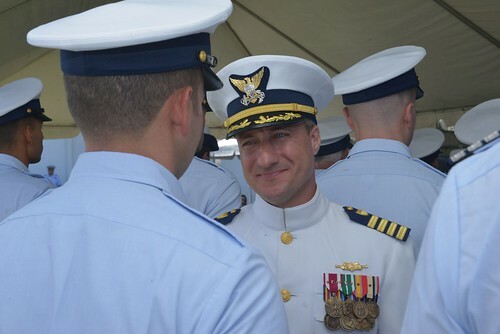 The crew of the Coast Guard Cutter Drummond arrived on scene and transferred the 34 Cuban migrants safely to the cutter. Three suspected smugglers were also detained and later transferred to U.S. Immigration and Customs Enforcement (ICE). 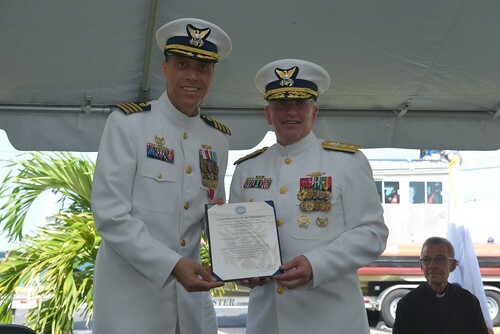 Law enforcement officer from the Coast Guard Cutter Decisive and Coast Guard Station Key West, Fla., interdicted a 30-foot go-fast vessel six miles south of Key West, Tuesday. After repeated warnings, specially trained Coast Guard officers used disabling fire on the engines to safely stop the vessel. 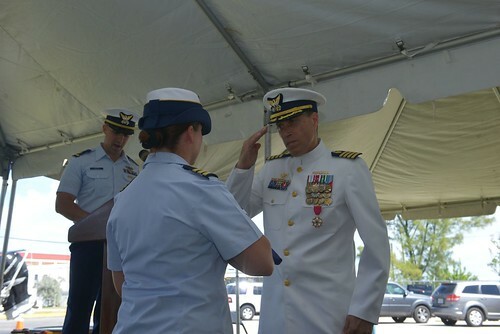 Coast Guard officers transferred 10 females, 16 males and one child safely to the cutter. Two suspected smugglers were transferred to ICE officers. The crew of the Coast Guard Cutter Tornado interdicted a rustic vessel with four male migrants west of Cay Sal Bank, Bahamas, Monday. The migrants claimed to have left Villa Clara, Cuba, the evening of Aug. 31. 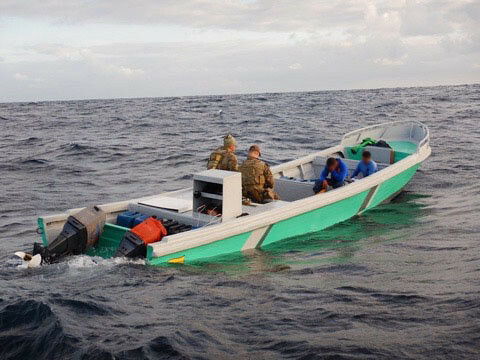 The crew of an HU-25 Falcon jet located a rustic vessel Sunday 22 miles southeast of Key West. 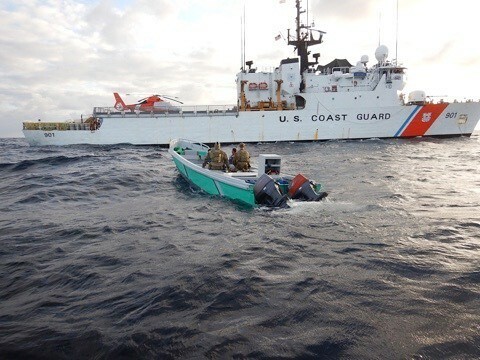 Coast Guard Station Key West crews arrived on scene and rescued five males from the 14-foot homemade vessel. The five migrants were later transferred to the Coast Guard Cutter Tornado were they received food, water and any medical attention necessary. 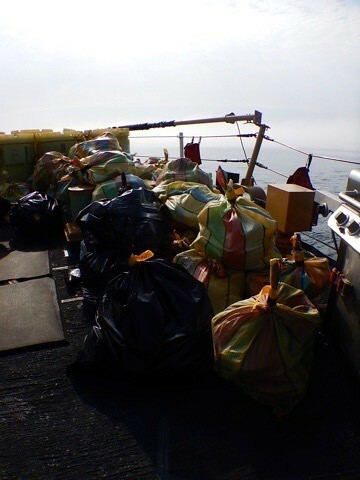 Once on board Coast Guard cutters all migrants received food, water, and any medical attention necessary.